The Family Justice Center is now open, merging six locations into a single courthouse facility. The eight story building is 233,906 SQFT and contains 20 different courtrooms. Four landscaping and design firms each received $25k to create a new vision for St. James Park. The new design must include a water feature and Levitt Pavilion outdoor stage. Downtown Doors expands to 103 sites, 20 new pieces of artwork have been added to Downtown sites. Starlight Cinemas is bringing back its movie series at St. James Park. Jurassic Park will play on Aug. 31 and Beetlejuice will air on Sep. 21. 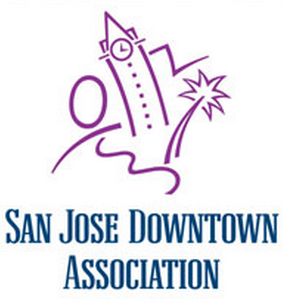 Jazz Summer Fest is taking place from Aug 12-14th, featuring 120 performances on 12 stages and bringing tens of thousands of people to Downtown San Jose. Pieology is now open at 99 E. San Fernando St.